Today let’s take a trip to the now closed Free! cafe in Akihabara! The Free! cafe had been open for months, however it shut its doors a few weeks back. I’m sure some variation will open again, anime cafes come and go extremely often, I think they usually stay open for 6 or so weeks. And damn if they aren’t popular! You often reserve a seat via a lottery system, you apply for slots and if you’re lucky enough to get a seat at a certain time, you can go! As you can see, the cafe was only very small! But that doesn’t mean every possible surface wasn’t covered with Free! 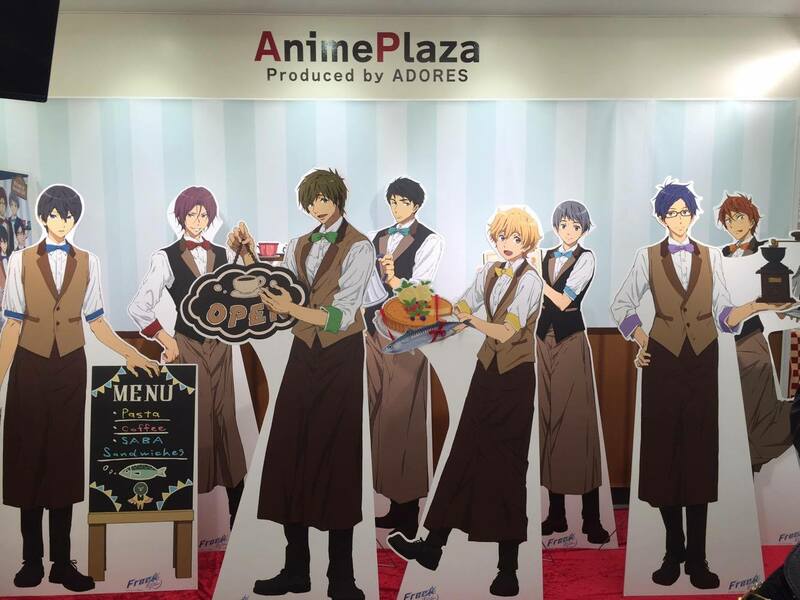 This is the IwaSame cafe, a collaboration between the two teams (Iwatobi and Samezuka)! These are my friend Gin‘s plush, she had them custom made! If you’re big into Free! you probably have seen some of her collection, it’s honestly one of the most amazing things I’ve ever seen. Here’s an example of the menu! Most characters have their own dish, whether it’s sweet or savoury! How adorable is the till area?! You could buy random keychains too! At anime cafes people will put their items up for trade at the edge of the table and you can walk around to look to swap! You often get a free bookmark/coaster for every item you purchase, so people often swap these to get their favourite characters! As I mentioned above, you get a freebie with each item you order, in the Free! cafe’s case, that’s bookmarks! I got my favourite Sousuke! I ordered a fair few items and ended up with more, I think they were Haru and Makoto! This drink was highly recommended, it’s Haru’s! If I recall correctly, it was lemonade with blue sugar syrup and pieces of pineapple! It was incredible. 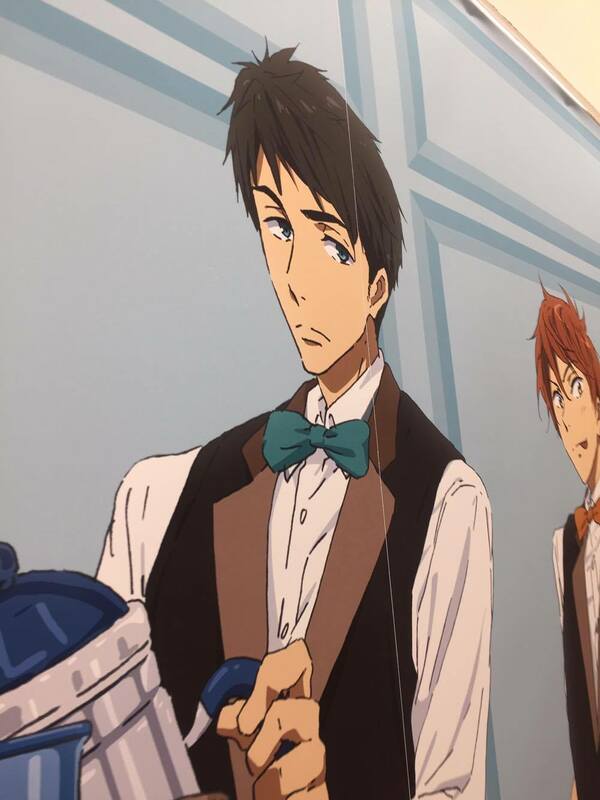 I’m a Sousuke Stan so I had his food item, which was just a fried chicken sandwich! The food at these cafes tends to be very simple. I had Rei’s drink too, I can’t remember what this was like, the Haru drink was better. This had bits of jelly in- I wasn’t a fan. Notice how the lemon is cut like a butterfly though!? And because I’m me, I needed a dessert. And whilst my favourite club is Iwatobi, I had to have the Samezuka parfait! It was all round incredible. I’ve said it a million times, Japan does parfait right. Notice Momo’s brother watching through the window! This is what an average table looks like, notice the placemats! There are various placements all over the place and you get given some for free afterwards! This wall is only seen as you head to the toilets! It has all the main characters on! Though my one true favourite character is Go, who is extremely neglected. I love you though Go. Leaving you with one final picture of my favourite character who gets included on things. 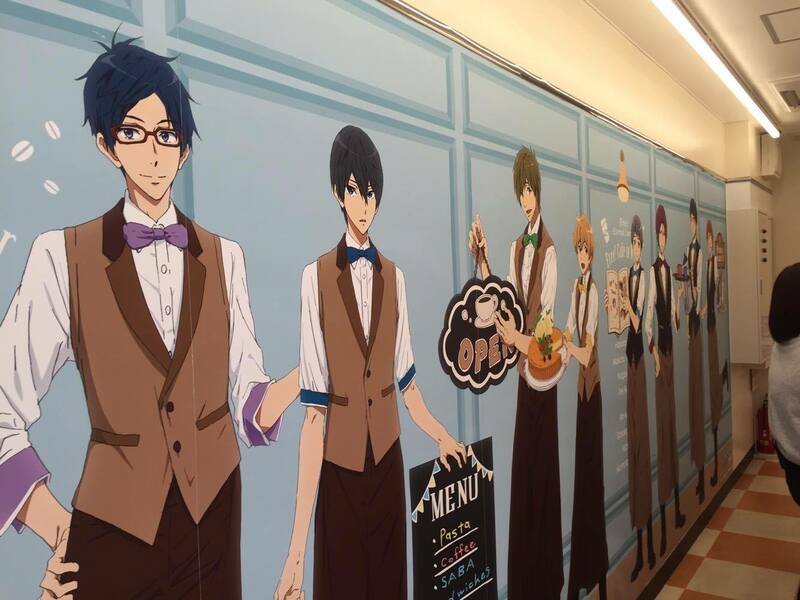 I hope you enjoyed a rather quick look at an anime cafe!